Several years ago Inholland initiated a dialogue with Embraer and Fatec University in Brazil for seeking collaboration opportunities. As the aerospace industry in Brazil is increasing due to global demand for 100 seater aircraft and the rising economy of Brazil, there is a need for more higher degree aeronautical engineers. This resulted in an MOU in 2015 with research themes in composites became the leading factor. 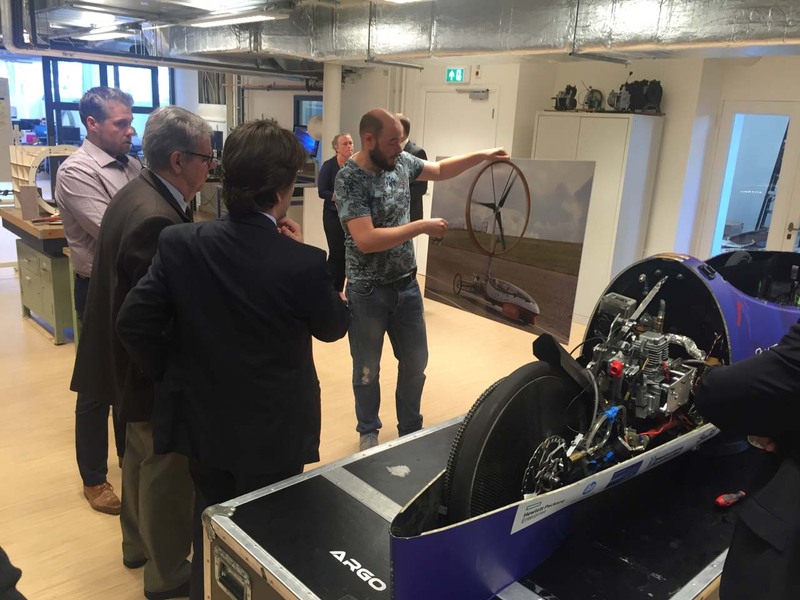 On September 23, 2016 a visit took place at Inholland Composites where Mr. Paulo Lourenção from Embraer and Mr. Nico Schiettekatte from the Netherlands Office of Science, Technology and Innovation (NOST) in Brazil followed up on the educational opportunities with Inholland in Delft. An agreement was made to start searching for candidates who are willing to kick-off the student exchange program. It is the intention to look for a continues exchange of students and guest lectures between Inholland Delft and Fatec University (Faculdades de Tecnologia do Estado de São Paulo) in combination with assignments from Embraer. In case you are interested in an exchange program with Fatec/Embraer Brazil, please contact Inholland Composites.